HissTank › G.I. Joe Vintage › Back To School Sale: 25% OFF All Books At 3DJoes.com! Back To School Sale: 25% OFF All Books At 3DJoes.com! Our good friends over at 3DJoes are having a back to school sale on all their books! If you missed any of them the first time, including the awesome slip cover, now’s your chance to pick them up. Click here to join in on the discussion. 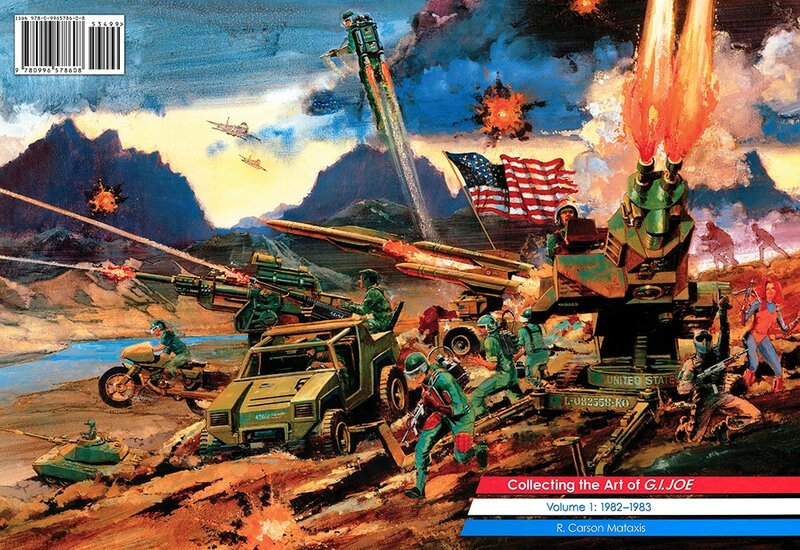 Collecting the Art of G.I.Joe is now 50% OFF! For one week, and one week only, we are selling the entire Collecting the Art of G.I.Joe: A Real American Hero collection for half-off the cover price! Each issue retails for $35, and we traditionally sell the six issue set for $210 (+$15 for USPS Priority flat rate domestic shipping*) and we include the double boxed slipcase for free. For the next week we will be selling the full set for $105 (+$15 for USPS Priority flat rate domestic shipping*), and we are still including the double boxed slipcase for free! Just missing a couple issues? Those are each $10 off for the next week as well, and a free double boxed slipcase is available with Volumes 5 and 6. Head over to the 3DJoes Book Store to buy individual issues! Sale ends 11-30-2018! Please note: there are only ~150 complete sets left, so if you have been on the fence about buying this set, jump in now! This half-off sale is the best pricing you will ever get, and there's a good chance these could sell through. Already own the set? If you have friends or family, and best of all children, buy them a set for Christmas. You'll be a Real American Hero in their eyes. Yo Joe! “Collecting the Art of G.I.Joe” doesn’t JUST feature every piece of painted art from 1982-1994, in one 5.5 pound double boxed slipcase. It ALSO features insight gleaned from interviews with Ron Rudat, Guy Cassaday, Kirk Bozigian, Ed Morril, and more! You're site is awesome! You are a god among men. Very nice, already bookmarked as a referance tool. This is a great site! I just found out about it the other day. Holy crap that's a time consuming process you have there, but what a great resource. Thank you for creating this and the time cost of doing it. You guys are awesome! Thanks for the support. Really, it means a lot. Please bookmark the home page and check back often for updates. I've been rolling out new content weekly, and hope to keep that pace up. It is indeed time consuming, and a little pricey, but it's been my goal to complete the collection and then find a way to share it. I was considering a brick-n-mortar store for a while, as well as a traveling exhibit. Hell, I drug $30,000 worth of AFA/MOC figures down to JoeCon in New Orleans just to share. Then, I found the 3D photography technique and decided the web was the best way to share 'em. So again, thanks for the support and be sure to check back weekly! I'll totally use it for reference on my customs. The BEST part is that you have them all geared up right off the bat. I'm not sure why all the other reference sites insist on striping them down naked as the first picture you see. B.A.T.S., Vipers, Beach Head, Sci-Fi, Mindbender, Iceberg, Low-Light and more. Go check 'em out and flash back 26 years! The BAT vs. Roadblock pose s amazing! I'm stealing that!